Kids, let this be a lesson to you: play a great set, and you could end up with friend-of-Radiohead Nigel Godrich producing your third album. 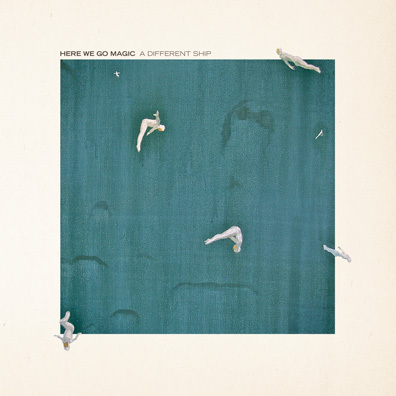 Thus was the fate of Here We Go Magic, who landed help from the unofficial sixth member of Radiohead after playing Glastonbury in 2010 and impressing Godrich. Not that the band's excellent tunes needed much of a reworking. Originally the singular vision of singer/songwriter Luke Temple, Here We Go Magic has swelled from a solo act to a four-piece since his 2009 debut under the moniker. Over the course of two full-lengths and last year's The January EP the music has likewise evolved, from hypnotic bedroom-pop repetition (think Loney Dear with a propensity for zen-like chants) to something akin to a Talking Heads for the next generation. Although Temple and the gang seem way too pleased to wonder whose beautiful house they're living in, they don't need to-Godrich's top-shelf production work aside, the band build A Different Ship themselves.